When medical checkup is over, it is time for me to be less consious over what I choose to eat. And tadar!!!! When WC said she wanted to try the Super Red Burger, I got quite tempted and decided to join her in the feast! 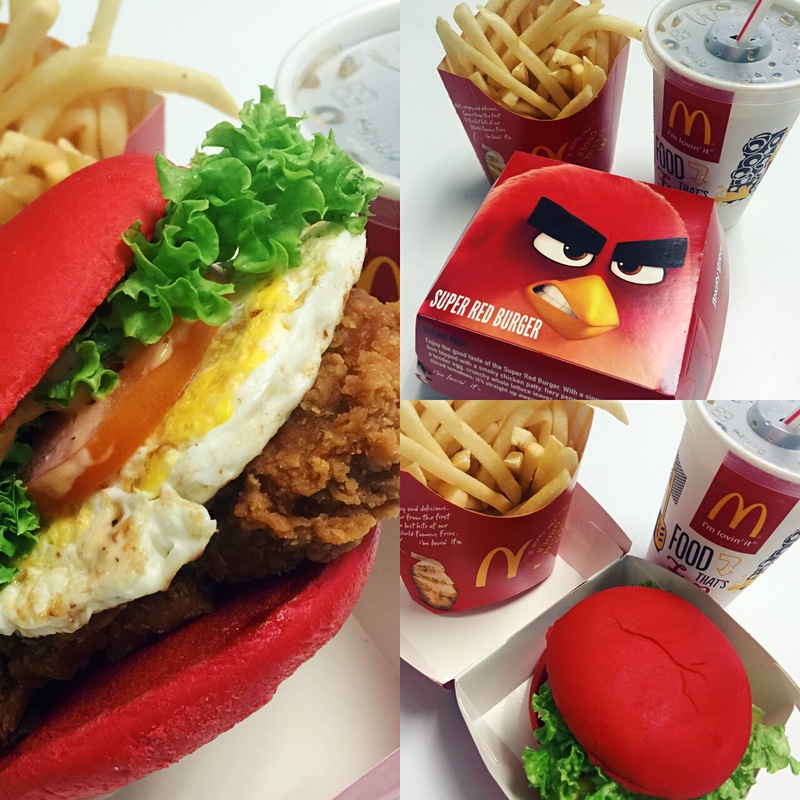 The McDonald’s Super Red Burger coming in line with the Angry Bird Movie!!! We bought this burger value meal that comes with fries and drink. You can also get the spicy nuggets combo set. The Super Red Burger is similar to McSpicy Burger with tomatoes, sunny side-up and topped with a new flavored sauce (hot pepper mayonnaise). Asked if I would try again? No!